The U.S. stock market is in the midst of its second longest bull market ever. However, a number of quality dividend stocks offer high yields and attractive valuations. The 10 high dividend stocks identified in this article pay extremely safe dividends and trade at an average price-earnings ratio of around 15 — a significant discount to the broader market. They also collectively offer an average dividend yield of 3.2%, which is above the group’s five-year average dividend yield of 2.5%. Abbott Laboratories (NYSE:ABT) is a major diversified healthcare business with four major segments — nutritionals, generic drugs, medical devices and diagnostics. The business sells more than 10,000 different products and generates over 70% of its revenue outside of the U.S.
Abbott spun off its research-based pharmaceuticals business AbbVie Inc (NYSE:ABBV) in early 2013 and has been in business for more than 125 years. The company’s longevity has helped its build up leading market share positions across many of its products. Approximately half of Abbott’s sales are also made directly to consumers and patients, helping it establish many well-known brands. Most of Abbott’s markets also have high barriers of entry because they are highly regulated, protected by patents, demand substantial R&D investments and require global distribution networks. Which is why Abbott’s dividend is very safe. The company’s projected earnings payout ratio for 2016 is only about 40%, and Abbott has consistently generated positive free cash flow each year. Abbott has paid dividends since 1924 and increased its dividend for more than 40 consecutive years, making it a member of the Dividend Aristocrats Index. Since spinning off AbbVie in 2013, Abbott raised its dividend by 57% in 2014 and 9% in 2015. Upper-single digit dividend growth could continue going forward. While the business is in the process of acquiring St. Jude Medical for $25 billion, its balance sheet certainly has the capacity with about $4 billion cash compared to $8.6 billion in total book debt. This deal will expand Abbott’s presence in hospitals and give it more scale to better serve cost-sensitive customers. Importantly, the acquisition is also expected to be accretive to Abbott’s earnings next year. Shares of Abbott trade at 16.5 times forward earnings estimates and offer a dividend yield of 2.6%, which is higher than its five-year average dividend yield of 2.4%. Archer Daniels Midland Company (NYSE:ADM) has been in business for more than 100 years and is a critical piece of the U.S. agricultural landscape. The company acquires and processes various commodities such as corn and oilseeds into products used across food, beverage, animal feed, chemical and energy markets. Some of Archer Daniels Midland’s end products include vegetable oil, ethanol, sweeteners, flour and protein meal. As long as people continue to eat the foods and beverages that depend on Archer Daniels Midland’s products, the company will continue playing a large role in the agriculture supply chain. The business has proven to be extremely durable because of its capital intensity and hard-to-replicate assets. Archer Daniels Midland owns the largest grain terminal and shipping network in the U.S. and has hundreds of processing plants and storage facilities located strategically around the world. As a result, the company is the lowest cost and fastest provider in most of its markets, and competitors cannot replicate Archer Daniels Midland’s footprint. The company’s dividend payment is easily supported by its sub-50% earnings payout ratio over the last 12 months, consistent free cash flow generation and net cash position on the balance sheet. Management has also raised the company’s dividend for more than 40 consecutive years, including double-digit annualized dividend growth over the last decade. Archer Daniels Midland is certainly an example of a blue-chip dividend stock. Shares of Archer Daniels Midland trade at 14.3 times forward earnings estimates and offer a dividend yield of 2.8%, which is greater than its five-year average dividend yield of 2.1%. As the second largest general merchandise retailer in the country (Wal-Mart Stores, Inc. (NYSE:WMT) is the biggest), Target Corporation (NYSE:TGT) needs no introduction. The company’s first Target store opened in 1962, and the business now has close to 1,800 locations across the country. Targets stores focus on convenient one-stop shopping and offer discounted prices. It sells a wide range of products across categories such as personal care, beauty care, electronics, apparel, grocery, furniture, and appliances. As one the biggest brick-and-mortar retailers, Target’s economies of scale create barriers to entry the company can obtain and sell merchandise at lower prices than smaller rivals. It can also offer a broader assortment of products, reducing the need for shoppers to consider going elsewhere. Just like its stores, Target’s dividend has been very durable and continues to look extremely safe. Target has increased its dividend for nearly 50 consecutive years, almost qualifying the company to join the Dividend Kings list. Over the last decade, Target has recorded excellent dividend growth of approximately 20% per year. With a dividend payout ratio near 40%, a healthy balance sheet, and steady free cash flow generation, Target should continue enjoying dividend growth for years to come. Shares of Target trade at 12.4 times forward earnings estimates and offer a dividend yield of 3.4%, which is meaningfully higher than its five-year average dividend yield of 2.4%. Cummins Inc. (NYSE:CMI) manufactures diesel and natural gas engines, electric power generation systems and engine-related components. It also owns a number of distributors that provide aftermarket services and support the dealer network. The company’s key markets are highway and heavy-duty vehicles, construction and general industrial markets. Cummins has been in business for about 100 years and generates about 40% of its sales from international markets. Cummins is a durable business because of its patented engine technology, long-term contracts with customers, well-respected brand and massive distribution network. The company’s dealer network is a big advantage because it helps customers avoid unnecessary downtime by having quick access to replacement parts and services. Smaller rivals lack the support network and technology needed to draw customers away from Cummins. Cummins last increased its dividend by 25% in 2015 and has raised its dividend for 10 consecutive years, making it a Dividend Achiever. The company’s dividend payment is very safe. Cummins’ payout ratio is about 50%, and its most important financial ratios are healthy. Shares of Cummins trade at 14 times forward earnings estimates and offer a dividend yield of 3.5%, which is higher than its five-year average dividend yield of 2.1%. Cisco Systems, Inc. (NASDAQ:CSCO) was founded in 1984 and has grown to become one of the most important technology companies in the world. The business sells a variety of products and services to businesses of all sizes, and its main offerings (switches and routers) connect computing devices to network or computer networks with each other. Cisco’s networking products are extremely important for any infrastructure environment and are necessary for practically any business. Without Cisco, our country’s communications infrastructure would not function. Cisco also dominates the switching and routing markets, where it maintains greater than 50% market share. The company’s size and comprehensive suite of products and solutions allows it to offer more integrated and cost-effective solutions for customers. While technology is not known as being one of the best stock sectors for dividends, Cisco’s dividend is very attractive. Cisco has increased its dividend every year since it started paying one in 2011. The company raised its dividend by 24% earlier this year and has plenty of room for continued dividend growth. Its payout ratio sits near 40%, and Cisco’s balance sheet is very healthy with more cash than debt. When combined with reliable free cash flow generation, Cisco’s dividend is very secure. Shares of Cisco trade at 11.7 times forward earnings estimates and offer a dividend yield of 3.6%, which is much higher than its five-year average dividend yield of 2.1%. International Business Machines Corp. (NYSE:IBM) is a major holding in Warren Buffett’s portfolio of high-yield dividend stocks. The company’s operations began more than 100 years ago, and IBM has been a force in the technology sector for many decades. IBM’s scope of business is very wide. The firm provides IT infrastructure services, consulting, software, and server and storage hardware around the globe. The company’s strong reputation and incumbent market position with major companies have been keys to its sustained success. Approximately half of the Fortune 100 companies outsource their IT operations to IBM, and the company’s mainframe computers and software code have an established track record of handling companies’ mission-critical tasks. IBM has raised its dividend for more than 20 straight years and last increased its dividend by 8% in 2016. The company’s dividend has compounded by close to 20% per year over the last decade. Looking ahead, IBM’s dividend continues to appear very safe with above average growth prospects. The company maintains a healthy payout ratio near 40% and has over $3 in cash for every $1 it paid out in dividends last year. While IBM is facing several challenges to restore revenue growth, the company is well positioned to continue paying and growing its dividend. Shares of IBM trade at 10.8 times forward earnings estimates and offer a dividend yield of 3.7%, which is significantly higher than its five-year average dividend yield of 2.3%. Verizon Communications Inc. (NYSE:VZ) is the largest wireless service provider in the U.S. The company’s 4G LTE network reaches more than 98% of the country’s population. Wireless operations account for more than 95% of Verizon’s operating profits and consist mostly of voice and data services and equipment sales. Verizon is a durable business because of its brand recognition and the industry’s high barriers to entry. It costs billions of dollars each year to maintain a nationwide communications network, and Verizon is one of the few companies with enough subscribers (over 110 million retail connections) to consistently cover this cost. With the largest wireless network in the country and more than 1,000 retail storefronts, Verizon is a trusted choice for many consumers’ communications needs. While the industry’s pricing plans and contracts are continuously changing, demand for telecom services is non-discretionary, helping Verizon generate consistent results. Verizon has increased its dividend every year since 2005 and has one of the most reliable payments in the market. The company’s payout ratio sits near 50%, and Verizon has generated healthy free cash flow each year for more than a decade. However, dividend growth has been slow and reflects the mature nature of the industry. Verizon’s dividend has increased by 3.3% per year over its last 10 fiscal years, and a similar rate of dividend growth will likely continue. Shares of Verizon trade at 14 times forward earnings estimates and offer a dividend yield of 4.7%, which is lower than its five-year average dividend yield of 4.1%. Many investors living off dividends in retirement own shares of Verizon. Diageo plc (ADR) (NYSE:DEO) is the biggest producer of spirits in the world and was formed as a result of the 1997 merger of Guinness and Grand Metropolitan. Some of the company’s famous brands are Smirnoff, Captain Morgan, Guinness, Johnnie Walker and Bailey’s. More than 40% of Diageo’s revenue is generated in emerging markets, although the U.S. and Western Europe account for the majority of profits. Diageo is a strong business because of its well-known brands (many of which have hundreds of years of history behind them), extensive distribution network that spans over 180 countries, broad product portfolio, large marketing budget and dominant market share. It would take competitors decades of time and millions (or even billions) of dollars to replicate Diageo’s distribution network and brands. Turning to the dividend, Diageo has raised its dividend for more than 10 straight years and recorded mid-single digit annual dividend growth over most time periods. With stable business fundamentals and a payout ratio near 60%, moderate but consistent dividend growth will likely continue. Shares of Diageo trade at 20.4 times forward earnings estimates and offer a dividend yield of 3%, which is slightly higher than its five-year average dividend yield of 2.8%. Apple Inc. (NASDAQ:AAPL) is the most valuable brand in the world and has transformed the lives of consumers with its technologies. Apple’s biggest growth driver, iPhones, accounted for about 66% of the company’s revenue last year. Macs and iPads generated another 11% and 10% of sales, respectively. The company’s main source of competitive advantage is its reputation for quality. 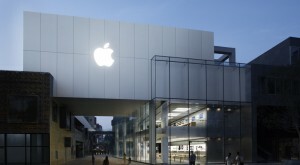 Apple has developed a strong connection with billions of consumers and billions and can leverage its brand to enter new markets for growth. Apple began paying a dividend in 2012 and has since raised its quarterly payout from 38 cents per share to 57 cents, representing total growth of 50%. With a payout ratio of approximately 24% and a balance sheet loaded with cash, Apple will likely continue rewarding dividend growth investors for many years to come. The company last increased its dividend by 10% earlier this year, and Apple certainly has the ability to continue its double-digit dividend growth. Shares of Apple trade at 10.5 times forward earnings estimates and offer a dividend yield of 2.4%, which is higher than its five-year average dividend yield of 1.3%. Wells Fargo & Co (NYSE:WFC) is one of the biggest banks in the country and has 90 different business lines covering banking, insurance, investment, mortgage, and consumer and commercial financial services. The company’s revenue is split almost equally between traditional loan-making operations and non-interest income from brokerage advisory services, mortgage originations, commissions, card fees and more. Wells Fargo is one of the most conservative banks that investors can buy. The firm has little exposure to investment banking and trading operations and focuses on simple lending businesses and steady fee income. Wells Fargo also benefits from a low-cost deposit base and its diversified mix of revenue. The company last raised its dividend by 1% in April 2016 and has an earnings payout ratio below 40%. While the business did cut its dividend during the financial crisis, banks are under much stricter capital requirements today and pay safer dividends. Shares of Wells Fargo trade at 10.6 times forward earnings estimates and offer a dividend yield of 3.2%, which is higher than its five-year average dividend yield of 2.4%. As of this writing, Simply Safe Dividends was long ABT, CMI, WFC, VZ and CSCO. Article printed from InvestorPlace Media, https://investorplace.com/2016/07/dividend-stocks-dividends-aapl-wfc/.